O'Connells in Chatham has a pool table. The pub shows football on TV, it has Sky Sports. O'Connells has terrestrial TV. Thomas Waghorn in Chatham serves real ale. The pub is a member of Cask Marque. Prince Of Wales in Chatham has a beer garden. The pub has a car park, it has disabled facilities. Prince Of Wales is a family friendly pub. The pub serves food, it serves real ale. 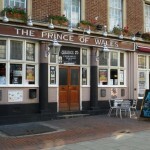 Prince Of Wales has a real fire. The pub has free WiFi, it is a member of Cask Marque. North Foreland in Rochester has a function room that can be booked. The pub has an outside area, it has a smoking area. North Foreland has a dart board. The pub has a pool table, it shows football on TV. North Foreland has terrestrial TV. Britannia Bar Cafe in Rochester has a beer garden. The pub has an outside area, it has live music events. Britannia Bar Cafe holds quiz nights. The pub shows football on TV, it has terrestrial TV. Jolly Caulkers in Chatham has a beer garden. The pub has an outside area, it has a dart board. Jolly Caulkers has a big screen. The pub shows football on TV, it has Sky Sports. Jolly Caulkers has terrestrial TV. Fox in Chatham has a car park. The pub has an outside area, it has a smoking area. Fox has a dart board. The pub has a pool table, it shows football on TV. Fox has terrestrial TV. Ship in Rochester has aircon. The pub has a beer garden, it has a car park. Ship gives a warm welcome to dogs and their owners. The pub serves food, it has a function room that can be booked. Ship has an outside area. The pub has a smoking area, it has free WiFi. Ship has DJ's. 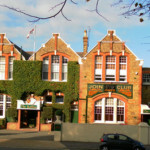 White Lion in Chatham has an outside area. The pub has a dart board, it has a pool table. White Lion shows football on TV. The pub has terrestrial TV. 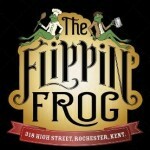 The Roffen is home to the most luxurious and friendly Social Club in Medway. Command House in Chatham has a beer garden. The pub has a car park, it has an outside area. 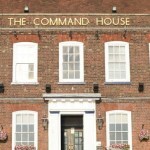 Command House serves real ale. The pub has free WiFi, it has a dart board. Command House has a pool table. The pub shows football on TV, it has terrestrial TV.